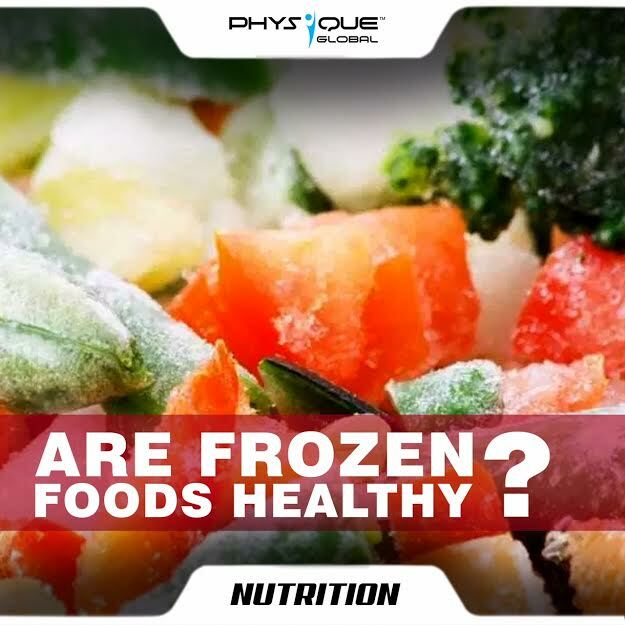 Home · Physique Global Article · Are Frozen foods healthy? Thinking about whether to reach for frozen food options the next time you’re in the grocery store? Afraid it’ll be unhealthy, or ruin your diet plan? Let’s bust the myth on frozen foods. Recent studies show that frozen fruits and vegetables may be even more nutritious than fresh because when the produce is frozen within hours of being picked, the nutrients are locked in. Convenience & Ease: Prepping and cooking from scratch can be very difficult for especially in today’s busy world where everyone works for living. This is where readymade/semi-cooked frozen food comes to the rescue. Full of Nutrition: Vegetables are usually frozen within hours of being harvested. This also means there is minimum loss of vitamins and minerals so there is a definite nutritional benefit to frozen food. Increased Shelf life: Frozen fruits, veggies, & protein options last way longer when frozen and this leads to less wastage and efficient use of resources. Safe to consume: Freezing suspends microbial and fungal activity in the food. As long as the food remains frozen, it is safe. It depends! Foods with limited processing, for example vegetables and meats without added sodium such as fresh (then frozen) fish fillets without breading and poultry without added broths and salt are healthy. When buying frozen fruits and vegetables, look at the ingredient list. It should contain the type of produce and no other ingredients. Avoid frozen fruits and vegetables that contain additional flavorings, sauces or syrups. Also remember that anything processes is not going to be healthy. All in all, frozen foods can be a valuable addition a healthy diet. The technology of frozen foods has improved significantly in recent time.